Travis County residents are giving County Commissioners their two cents at a public hearing on the county bond package proposal. The proposal, unveiled last week, is a $206 million bond of 36 various transportation, park and utility line projects. This bond is an abbreviated list from an earlier proposal that of about $638 million. 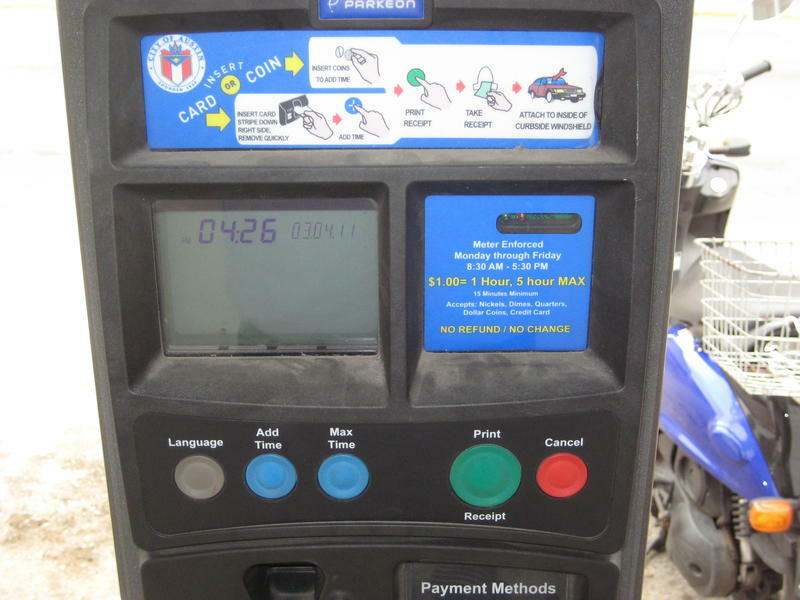 The extension of downtown parking meters was already delayed once, from August 1 to September 6, because of delays in equipment orders. But now politics could push that date back even further. The new rules would extend downtown parking meter hours to run from 8 am until midnight from Monday through Saturday. Currently, meters run from 8:30 am until 5:30 pm. The extension would also affect meters throughout Austin. Outside the downtown core, meters would run from 8 am until 6 pm. Two flyover ramps were being constructed to complete this interchange in southwest Austin. Drivers looking forward to the completion of two flyover bridges linking MoPac and US 290 will have to wait a few extra months. The contractor building the bridges, Las Vegas-based Wiser Construction, has declared bankruptcy. “I think they just realized they were in over their head,” Texas Department of Transportation spokesman John Hurt told KUT News. Tight budget times have agencies, companies, families, everybody… looking for creative ways to either spend less money or make more. Capital Metro’s starting to explore that “make more money” option. The transit agency hired a consultant to look into the value of the naming rights to its rail and “park and ride” stops. Cap Metro’s Audit and Finance Committee’s meeting at 12 noon today to start talking about the naming rights option, and to see much they might be able to make off the venture. It's another busy weekend in Austin, but before you hit the roads here’s a round-up of road closures and other traffic news for this weekend. Construction continues this evening on several connecting fly-over ramps at the intersection of I-35 and Ben White Boulevard. The southbound I-35 frontage road will be closed between the intersections of the eastbound and westbound US 290 frontage roads. Traffic will be diverted down the US 290 frontage road to the turnaround at Congress Avenue. Ben White Boulevard will also be narrowed between Burleson Road and South Congress Avenue to allow one lane of traffic in each direction. I-35/Ben White Closures Nearly Done? As drivers cope with yet another closure around Ben White Boulevard (SH-71) and I-35 this weekend, there may be a light at the end of the tunnel. 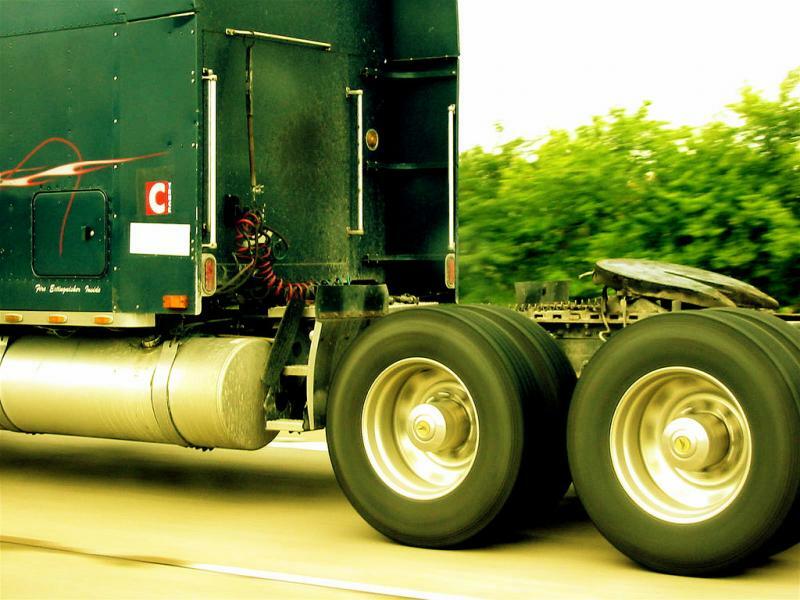 Deal Struck On Mexican Trucks In U.S.
U.S. and Mexican authorities today signed an agreement that will allow trucks from both countries to carry goods far beyond the border separating the two. This map shows lane closures around the W Hotel and the location of a "flash mob" rush hour water fight. After glass fell from the W Hotel for the third time in just over two weeks yesterday, the city is taking no chances and is closing lanes around the building until further notice. But one of the alternative routes also happens to be where a group of people are planning an impromptu water fight during rush hour. This is the area where a Ben White Blvd./US 290 closure begins this evening. Work on a flyover ramp will require shutting Ben White Blvd. this weekend, according to the Texas Department of Transportation. But unlike previous weekends, the closure will not affect I-35. You can see the affected area in the map above. For a more detailed view, check out TxDOT’s map here. The Ben White Blvd/US 290 closure is scheduled to start around 8 o’clock tonight. Everything is supposed to return to normal by Sunday morning. Construction on Ben White Freeway interchange will begin at 8 p.m. tonight, and last till Sunday morning. TxDOT will divert west-bound traffic on to east-bound lanes configuring one lane in each direction for about two miles. 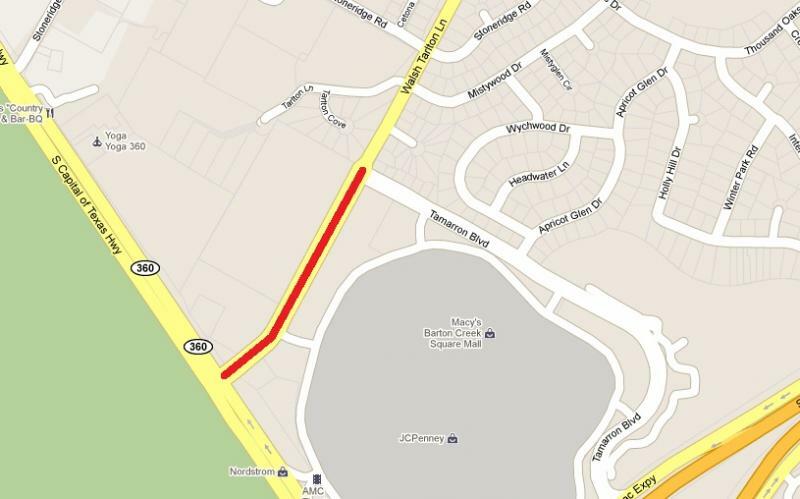 The City of Austin is warning drivers to be aware of lane closures and detours beginning this Saturday, due to water main work in the area of Walsh Tarlton Lane and Loop 360 - near the Barton Creek Square Mall. The detours will last through the rest of the summer, from 8:00 am to 6:00 pm daily. I-35 Closed Again Tonight at Ben White Blvd. This map shows the detour routes in green and the closures in red. Interstate 35 at Ben White Blvd. will be closed again this weekend for construction work on flyovers intended to connect I-35 with US 290. It might be harder to cruise around West Campus this weekend when a major intersection shuts down for construction. Beginning on Friday at 9 am, the intersection at Rio Grande St. and 24th St. will be closed and will not reopen until Monday at 6 am. The street is being closed because crews are working on water lines, storm drains and road reconstruction. Lane Reductions Until September on Riverside Dr. at S. 1st St. It might be disgusting to visualize, but the sewer lines serving downtown are at capacity, and now the city is building another tunnel to relieve central Austin of all its “wastewater”. For drivers, that means lane closures on Riverside Dr. at S. 1st St. until September. The closures will reduce east bound traffic on Riverside to one lane from the traffic circle in front of the Long Center all the way to S. 1st St. Two lanes will be open westbound. Update at 12:48 pm: The City of Austin has announced it is delaying a repaving project on S. Congress Ave. by as much as a week. 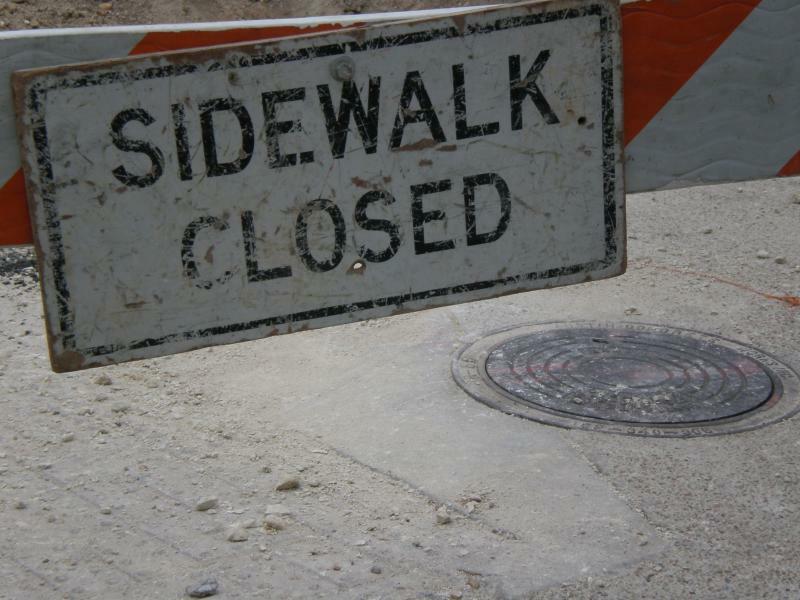 Work crews found problems with water lines feeding into the 12-inch water main that runs under S. Congress Ave, and those must now be repaired. The repaving project was going to cause lane closures, and now repairs to water infrastructure will create some construction slowdowns. "Right now we're looking at [delays] of anywhere from a couple of days to a week, depending on how long it takes the water utility to complete those repairs," Public Works spokesperson Sara Hartley told KUT News. Harley says the city will revaluate the repaving schedule, and expects to issue a revised timeline later this week. Earlier: Give yourself a little extra time if you have to drive down S. Congress Ave. between now and mid-July. The City of Austin is re-paving a stretch the road from Riverside Dr. to Oltorf St. Starting today, northbound lanes will be reduced from 8:30 am to 7 pm. Southbound lane closures will be in effect from 7 am until 4 pm. The city is re-paving the road in portions, starting first with a stretch between Oltorf St. and Annie St. and gradually moving north. The construction will be completed in three phases, as indicated by the different colors on the map. Photo courtesy of Full Throttle Productions. A proposed Formula One racetrack southeast of Austin is not a done deal, but that hasn't stopped F1 from helping to fund upgrades to a road that would lead to the track. Tuesday, Travis County Commissioners voted to accept $375,000 from Circuit of the Americas LLC, to use for improvements to FM 812. Those upgrades would prepare the road for heavier traffic on race days at the as-yet-unbuilt racetrack. We’re still just 25 cents shy of the all-time gas price record for the Austin metro area, but the price for a gallon of regular unleaded dropped nine cents from this time last week. The latest fuel price report from AAA Texas says gas is selling for an average $3.72 in the Austin-San Marcos region. That compares with $3.81 last Thursday. The highest recorded average price was $3.975 back in July 2008. 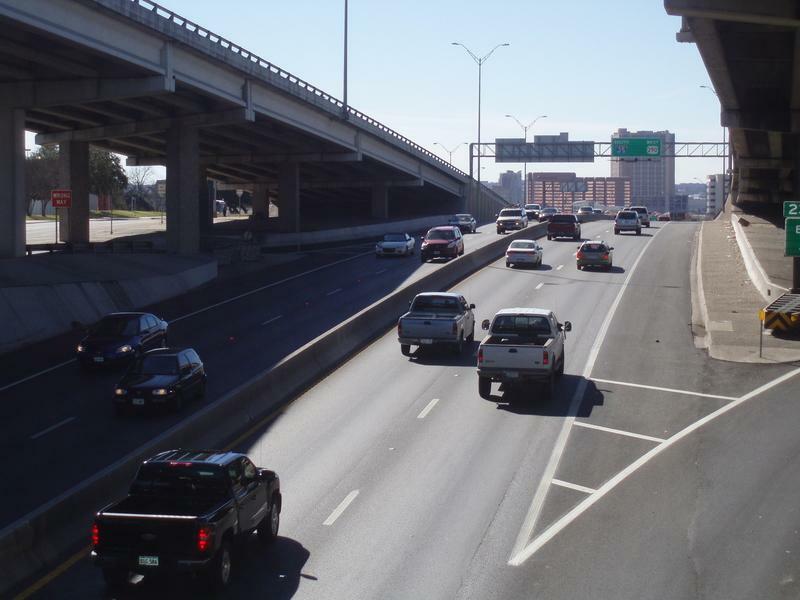 Interstate 35 is likely to be more congested than usual this weekend because of a flurry of activities at the University of Texas and a construction closure of I-35 at Ben White Blvd. Not only are there commencement activities at UT Austin this weekend, but there’s also baseball and softball games. If you’re passing through Kyle next week anytime between 9 pm and 6 am, you may want to give yourself extra time to get to your destination. The Texas Department of Transportation (TxDOT) says it will be closing Interstate 35 northbound for two days and then closing it southbound for two days after that. Here is the full schedule. People who ride their bikes to work this Friday can take advantage of free food at various locations across town. The City of Austin provided this map of participating locations, but we thought it would be useful to see them on a zoomable Google Map that also allows you to plot your route. Click on a location to see if they are open from 7 am to 9 am (marked AM) or from 4 pm to 7 pm (marked PM) or both (marked AM/PM). 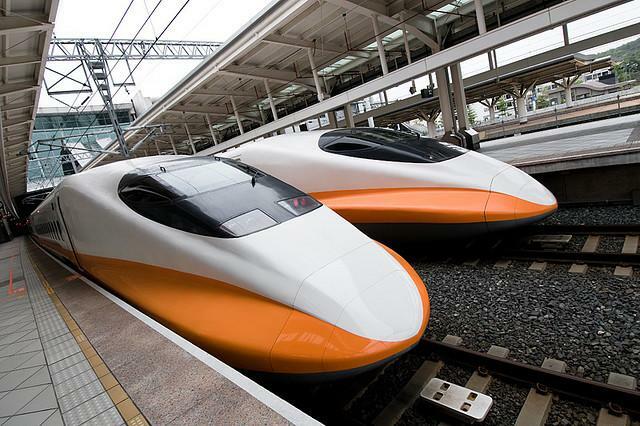 The U.S. Department of Transportation announced $2 billion worth of funding today to expand high-speed intercity rail travel. $15 million of that is coming to Texas. Northbound traffic on Interstate 35 around Ben White could be slow this weekend as the Texas Department of Transportation (TxDOT) closes lanes to allow crews to work on a flyover. Get used to seeing these signs if you spend time downtown. The city is temporarily installing 44 of them to direct people to off-street parking. Staff hopes it will help reduce what they call "extraneous traffic circulation." In other words, people circling the block looking for a spot on the street. The Texas Roundup 5K will close several streets downtown Saturday morning. Check out the map above for details. Blue lines are partial closures. Red lines are full closures. You can a street closure for the exact times, but everything is scheduled to be reopened by 11 a.m. The Texas Relays are not just a serious competition for track and field athletes. The annual event has also become a celebration of southern car culture. All those slabs cruising through downtown can make it very difficult to navigate the area. 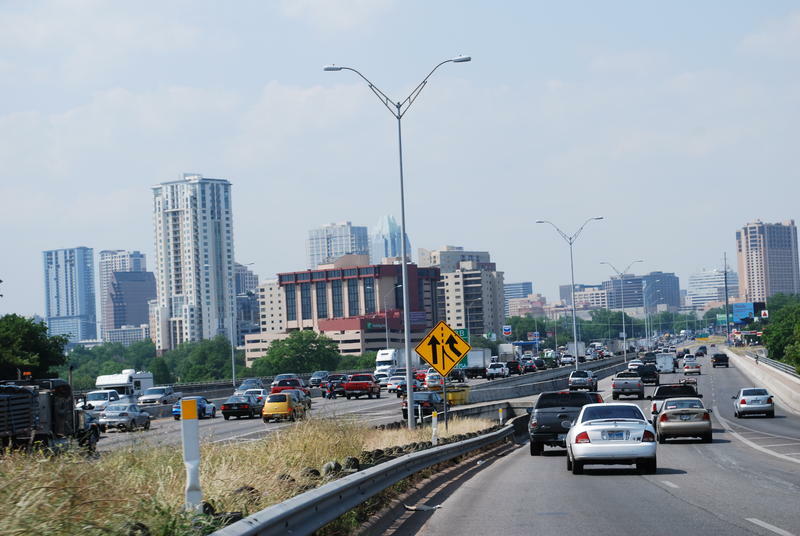 This year, Austin police say they are taking extra measures to try to mitigate the gridlock. It won't be quite as gridlocked as it was during South by Southwest, but this weekend is filled with events causing road closures in Austin. In an effort to make it easier for you to understand which streets are closed and when, we've created two Google Maps. The map above shows street closures on Sunday. The one below shows the street closures on Saturday. Please zoom in and click on specific closures for more information on the times they are in effect. Red lines indicate full closures. Orange lines indicate partial closures. Blue lines indicate local access only. 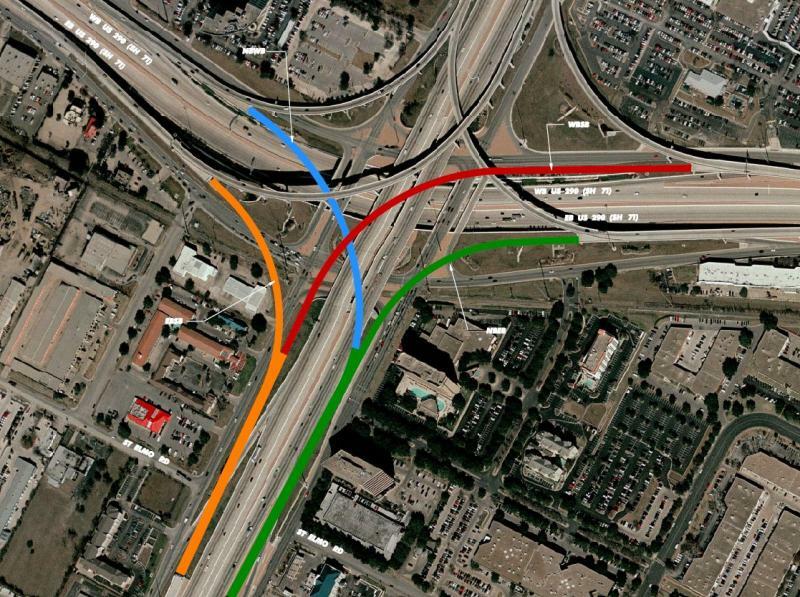 Green lines show the detour route around the I-35 and Ben White interchange. Comfortable shoes and iPad 2s are making way for synthesizers and neck tattoos as South by Southwest shift gears overnight from interactive to music. The latter brings out much larger crowds, so the city is shutting E. 6th St. at midnight. Right now there are signs warning people to move their vehicles. Check out our Google Map of road closures after the jump. The Texas Department of Transportation will waive tolls on segments of SH 130 and SH 45 this Saturday, while crews shut down I-35 at the Ben White Freeway (SH-71). Tolls won't be collected on SH 45 Southeast, SH 130 and a portion of SH 45 North, near Round Rock and Pflugerville between 6:00 a.m. Saturday and 6:00 a.m. Sunday, according to TxDOT spokesman John Hurt. If you see something that looks like a commuter train wreck in Williamson County tonight, it's only a test. Capital Metro will conduct an emergency drill involving the MetroRail commuter service starting at 8:00 p.m. this evening somewhere between Leander and Lakeline stations.